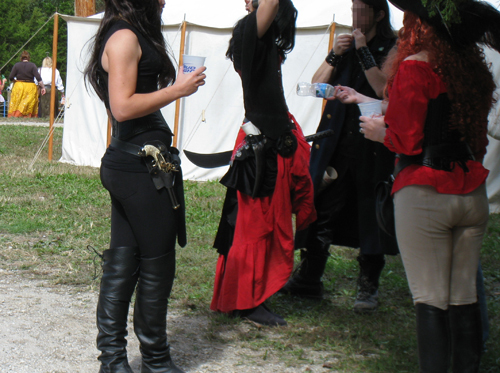 Aye, UIUC student Turtlebear be at th’ Buccaneer Festival in St. Louis this weekend, an’ reports that at th’ urgin’ o’ the’r shanty men, snapped a photo o’ some SWASHBUCKLER nopants. Pirates are typically considered badass enough that their outfits are pants-optional. At least we know that if they ever need any, they can just go for some pants PLUNDERING! !